Guests with local IDs will not be permitted to stay at the hostel. 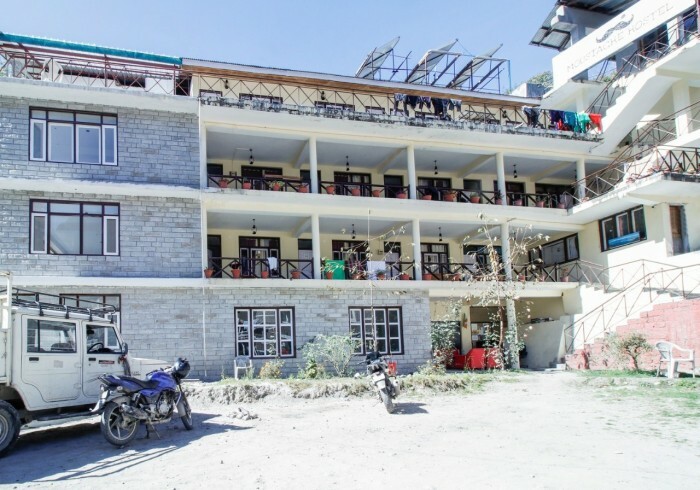 For e.g., residents of Manali will not be allowed to stay at Moustache Manali. We have a strict advance payment policy at check-in. SPECIALLY FOR YOU: FREE MASALA CHAI EVERY EVENING AT THE PROPERTY. Surrounded by colossal snow-capped peaks, Manali is for you to tread into its lush green Beas valley. Melt into its tranquillity, while sipping a cup of hot beverage by the flowing river Beas or hike the less known trails in the friendly forests of the hills.Moustache Manali is your true companion for the adventurer in you. This comfortable caravan is your very first stop as soon as you enter Old Manali & is in the vicinity of all the popular cafes and hangouts. With an open-air setup, the property faces the fresh-flowing river Manaslu, allowing you to have your perfect mornings, waking up to the sound of nature. Prepare to be flabbergasted by the stunning views of the himalayas, from right outside your room. If you wish to take a break from your expeditions, pick a book that suits your mood from the library or play various board games with newly made friends. By the end of the day, relax in your cosily built dorm beds or exclusively prepared private rooms. Let Moustache Manali be witness to your Great Himalayan Adventure!